We use TORAY's high modulus 40ton carbon made in Japan as blank material. 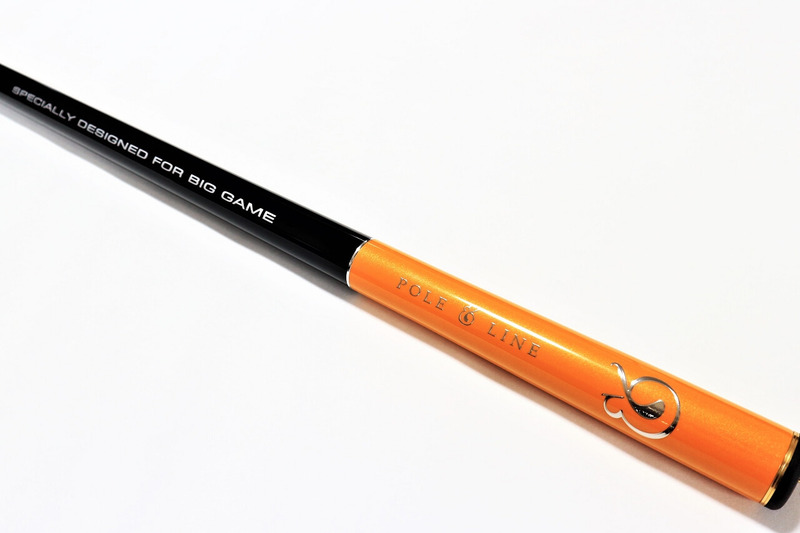 For this kind of rod, both of the strength and the lightweight are needed, because big salmon is its main target, while an angler has to hold the rod all the day and casts hundreds of times. The 40ton carbon is the best choice for this purpose, for too high modulus carbon such as 50ton or more is lacking the strength, and for low modulus one is heavyweight. 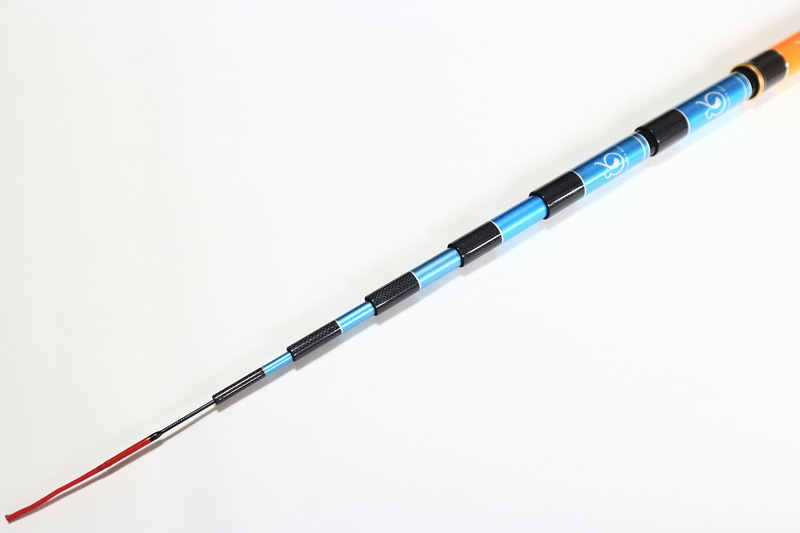 This rod is telescopic and has 8 sections, while most of other brands' similar rods have 9 sections. The reason is simple; the less sections the rod has, the slimmer yet thicker wall it can has. 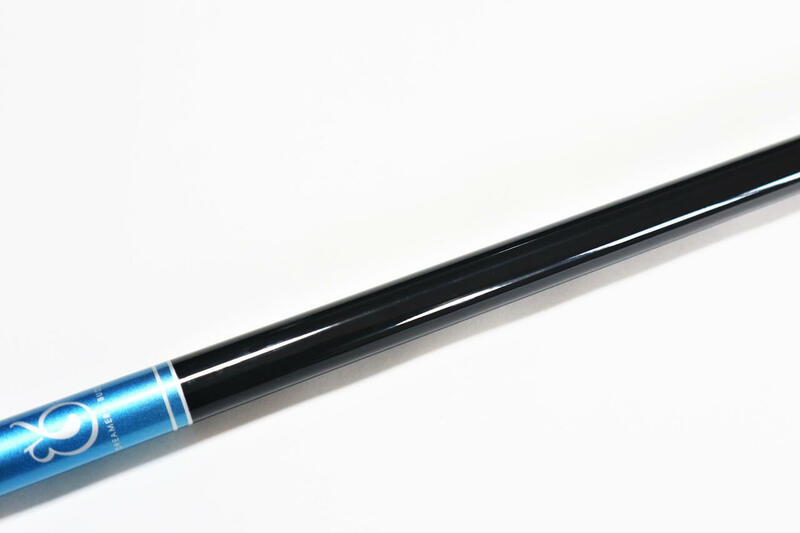 As for this kind of rod, "Honryu-zao", the diameter of the rod affects the difficulty of casting because it is very long and get a lot of air resistance. So, the slimmer it is, the better. Also, less number of sections means less weak points. 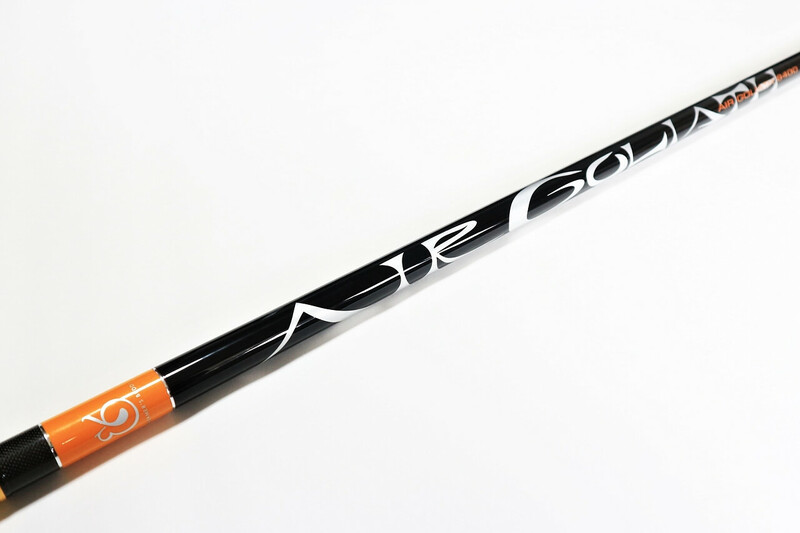 Considering the transport length, the 8pc construction is the best choice for the 8.4m rod length. 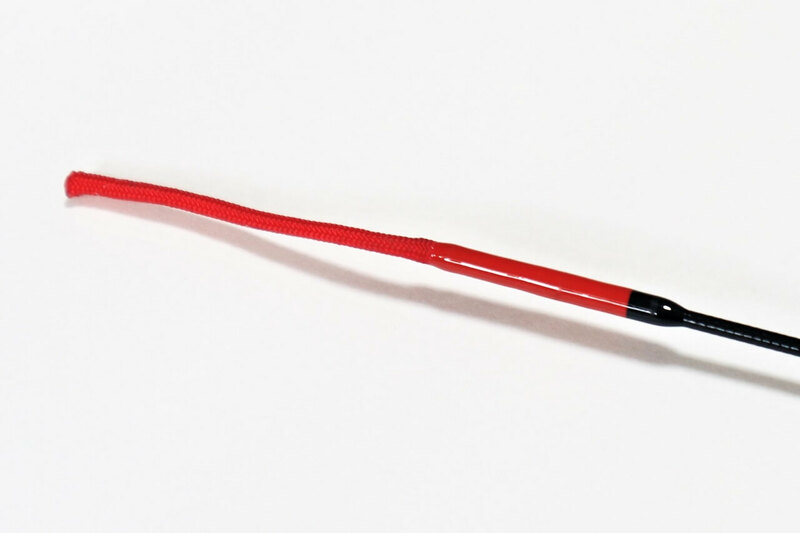 In principle, the joints can be weak point for this kind of fixed line rod. So, we reinforce top end of each section with high quality woven carbon for extra performance, strength & durability. 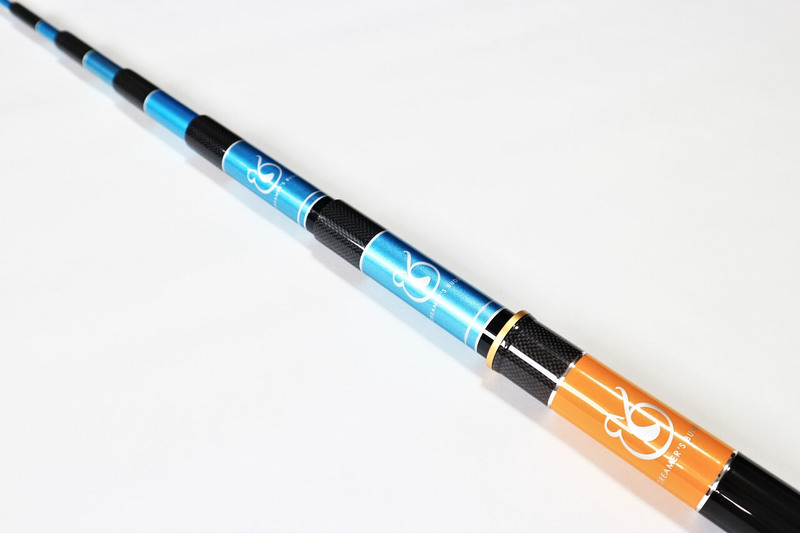 The anti-twist carbon construction overcomes blank twist and enhances rod performance. 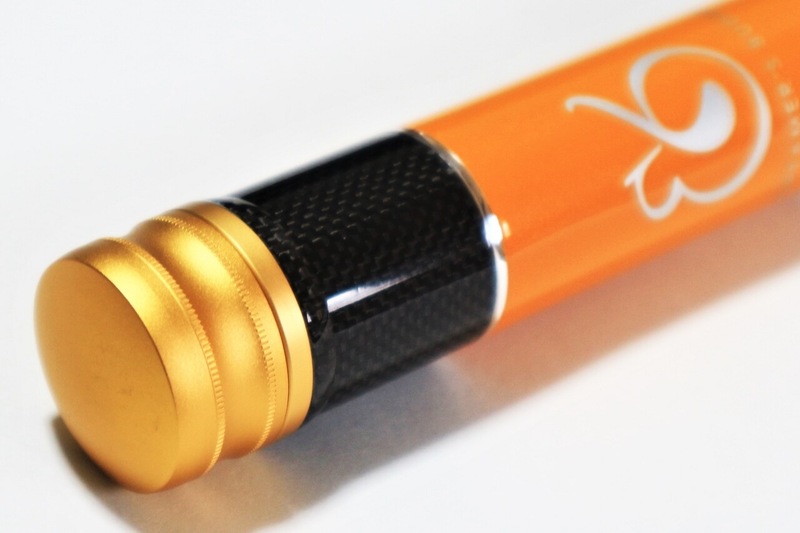 Our carbon blanks have 45° angle layered carbon fibers combined with 0° and 90° ones. This makes the rod much stronger and distortion-proof. Beautifully painted blanks have even surface. 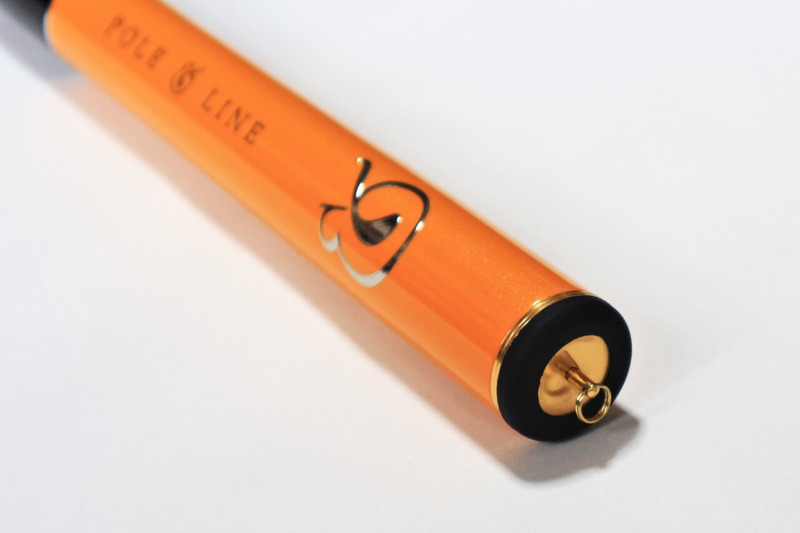 The flat surface prevent the damage of the surface paint which is caused as the rod is extended and closed. 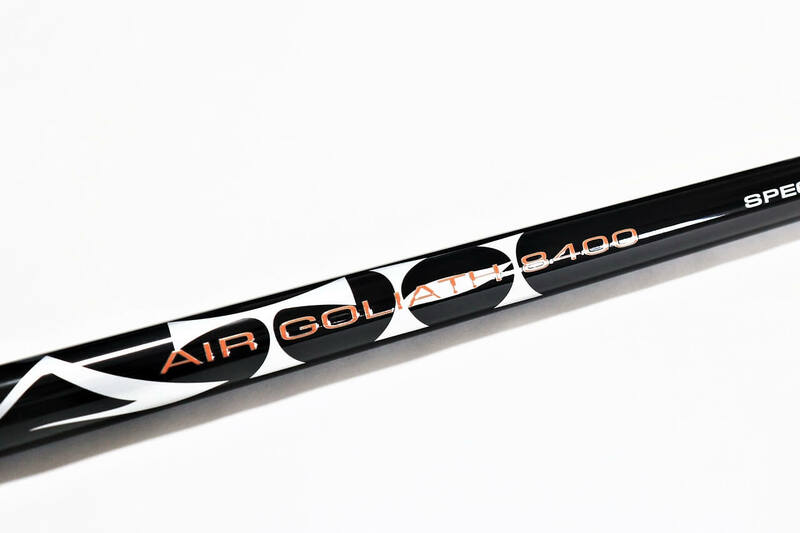 Some big salmon break even lily yarn, especially the length of its coated base is not enough, The lily yarn of AIR GOLIATH 8400 is coated on its very long, 3 cm base firmly for the maximum strength. 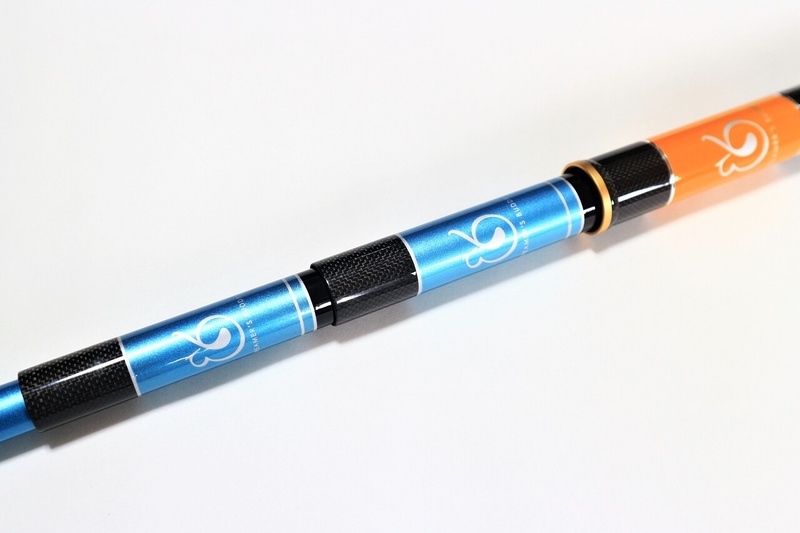 This rod's grip is without anti-slip coating for keeping off bad smell of baits. If you are anxious about the slip on wade fishing, you can just use fishing gloves.